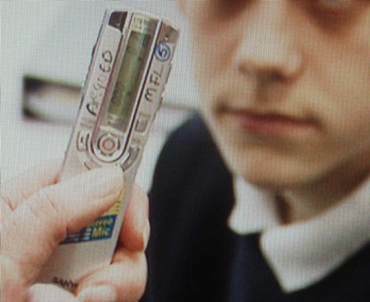 In the ICT Skills section, Kath Holton, Head of Languages at Argoed High School shows how her department are using digital voice recorders to promote speaking skills, boost pupil confidence, develop independent learning strategies and facilitate assessment for learning opportunities. 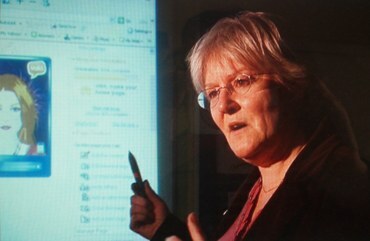 The approach certainly seems to be producing positive outcomes judging by the reaction of the pupils. “Being recorded with one of these, it makes me more confident speaking French and it helps me to practice my pronunciation as well”. “We are able to put them on our mp3 players and listen to them overnight and build up our revision”. “Once it’s on the computer, it’s there. Whereas in previous years when we’ve practised speaking, once we’ve said it, it’s gone and we can’t revise off it, but we can keep these for future reference using the DVRs”. “They’re doing so much in the learning process that I can step back as a teacher and let them assess each other, give each other grades, praise each other, but with the digital voice recorders, it’s all saved on my laptop and on the school system which means not only can I refer to it for reports and marking, but for departmental standardisation”. Taking the recordings to the next level, Kath has been creatingVokis and uploading them to the department’s French Wetpaint wiki. Pupils have been so engaged by this cool approach to language learning that they’ve been creating their own at home, leaving comments on each other’s and even uploading them via their mobile phones. Other case studies feature the use of interactive websites, mind mapping, development of target language and multi-media ICT suites and much more. The DVD also contains pdf documents which can support colleagues further such as how to record digital sound files and use them in class. 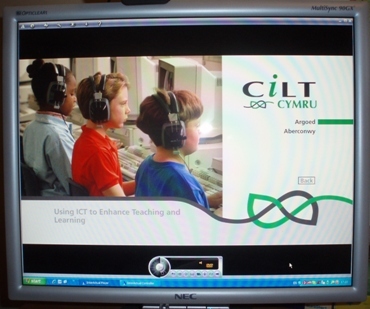 To obtain a DVD contact Kristina Hedges at CILT Cymru. Copies cost £10 each and are available now.